Our tour was at the Ulsan Factory 3, which is the largest of the three production plants in Korea. 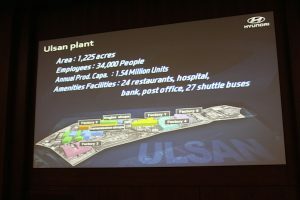 The Ulsan plant is approximately 1,225 acres containing 5 factories with 34,000 employees and an annual production capacity of 1.54 million vehicles or about 1 vehicle every 10 seconds. We visited Factory 3 which produces Elantra/Avante, Elantra/Avante Coupe, and i30 (Avante and Elantra are the same car, Avantes are sold only in Korea and the Elantra is exported). Our tour was of the Final Assembly Shop of Factory 3. As the name suggests, this is where all the different parts come together to create the finished product. There are three other shops before the Final Assembly Shop, which are the Press Shop, Welding Shop, and Painting Shop. The level of automation between each shop varies, for example, 98% of the Welding Shop is automated where as only 10% of the Final Assembly Shop is automated. 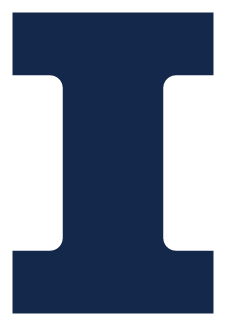 The main reason manual labor is needed in the Final Assembly Shop is each car has certain specifications which vary between cars. When we arrived at Factory 3, we walked up the steps to a catwalk that weaved throughout the shop showing many different cars at different stages of the assembly line. A quick summary of the process is a vehicle enters the Final Assembly Shop after being painted which takes 9-10 hours. Upon arrival, the doors are removed, and the car makes its way down the assembly lines where workers add parts and pieces according to the specifications required for that car. Within the shop, there are two separate assembly lines, one with 107 stages and the other with 186 stages, that produce the same product- a finished vehicle, one is just more modularized than the other. Each stage at each line has a cycle time of 60 seconds meaning, the more modularized line can produce almost twice as many cars as the other line. 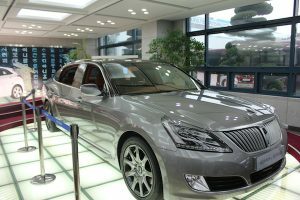 Most of the parts that go into the vehicles are purchased from Hyundai’s subsidiaries, all located in Korea, except the engine and transmission, which are produced on site. The only parts Hyundai imports for this plant are the brake pads from Italy for its Genesis model. After finishing our walkthrough of the Final Assembly Shop for Factory 3, we headed to Hyundai’s port along the Hyoungsan River where we saw two massive car carrier ships being loaded with vehicles. According to the tour guide, two ships are usually loaded per day, however a maximum of four ships can be loaded if needed, with anywhere between 3,000 to 7,500 vehicles per ship. 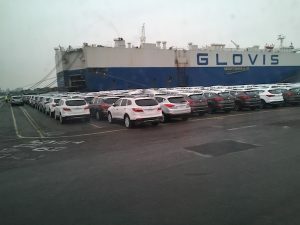 Overall, everyone greatly enjoyed the tour of the factory and we were blown away by the sheer size of the number of vehicles being loaded onto the ships at the port. We really appreciated the opportunity to tour one of the largest Hyundai car manufacturing plants in the world.